When it comes to custom Android ROMs, there is no denial that CyanogenMod is the most popular one out there. Supported by a dedicated team of Android enthusiasts, CyanogenMod currently runs on over 400,000 smartphones worldwide and its fanbase just keeps on growing. 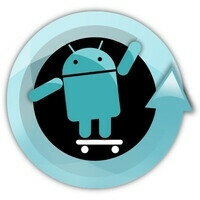 CyanogenMod 7.1 RC is the latest build of the custom ROM and it has just been made available for download. Being a release candidate version means that it will still have a few rough edges for polishing, but nevertheless, it should give you an idea of what its final release will feel like. So, what is new in the latest CyanogenMod release? Taking a look at its changelog we see a lot of tweaks and improvements over its previous build, but the one that will probably interest you the most is that CyanogenMod 7.1 RC is built on top of Android 2.3.4. That means that as long as your device is listed among the 44 currently supported smartphones and tablets, flashing CyanogenMod 7.1 on it will give you a taste of the latest version of Google's mobile platform and the goodies that it packs. So, if you are willing to give it a shot, you can grab CyanogenMod 7.1 RC from its official web page or through ROM Manager, and if you like its latest release, feel free to drop us a comment below. However, we urge you to be careful as flashing a custom ROM may have unexpected consequences. You do not want to end up with a bricked device, now, do you? Sigh, no Atrix users yet. I thought of getting that phone a while ago too. well, the good news is they just completely unlocked the bootloaders last week, so that means the floodgates have been opened.. its a matter of time now for your atrix. I'm really enjoying the new build!!!! So far no real bugs or disappointments. Its smooth and still gives the same responsiveness as the last build. I was beginning to experience some bugs while on the last build (screen blacking out, keyboard not showing up, freezing) now all those problems are history. I'll continue to remain faithful to CyanogenMod!!!!!! i loaded CM7.1 with gingerbread on my motorola backflip and it's purring like a kitten now that i have removed blur and all that other unneccessary software that i never used anyway. Even overclocking the CPU....WINNING!! !